Daily Star reports that Manchester United are increasing efforts to sign Arsenal midfielder, Mesut Ozil who is desperate to leave The Emirates Stadium as he is disillusioned with the ambition of the club. The player’s contract expires next summer meaning that if the Gunners don’t want to lose him on a free, they have to let him leave the club. Ozil, 29 was heavily criticised for his performance in the Gunners’ last match in the league, a 3-1 defeat at the Etihad stadium, a game which showed his lack of commitment to the club. It is believed that the Gunners have slapped a £30m tag on his signature in bid to stave off interest in the player. Ozil might be keen to reunite with Jose Mourinho who he worked with at Real Madrid and rates as the best manager he has worked with ever. The German playmaker has struggled to win over his detractors who have criticised him of his lack of effort without the ball, but that has always been his style even right from Schalke 04 and Madrid. Mourinho is in dire need of a playmaker to add quality to his midfield as he is not impressed with the likes of Jesse Lingard and Henrikh Mkhitaryan. Ozil would be able to play in the knockout stages of the Champions League, as Arsenal are currently in the Europa League. Alongside Alexis Sanchez, Arsenal risk losing Ozil on a free transfer that is sure to question Arsenal’s transfer policy. United have looked ordinary in recent weeks after a brilliant start to the season and a player of his calibre can be that spark we need to challenge Manchester City for the title. We lost our last match against Chelsea, which has seen us fall eight points behind City. 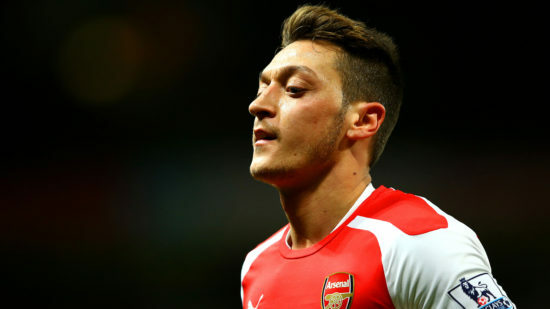 Ozil is a classy central attacking midfielder known for his creativity, passing and movement around the box. He joined Arsenal in 2013 in a then club record £42 million fee, and has won The FA Cup thrice since that time. In 2015/16, he had his best season in an Arsenal shirt, registering 19 league assists, only one behind the record of 20 set by Arsenal legend, Thierry Henry.